Among Oklahoma’s assortment of official emblems are two dinosaurs who would have made formidable foes. Will Rogers, Oklahoma’s favorite son, made bank by observing the contradictions and redundancies of Americans in general and Oklahomans in particular. His statement, “It isn’t what we don’t know that gives us trouble; it’s what we know that ain’t so,” could easily apply to the oddities in the Oklahoma’s official flora, fauna and minerals. In many cases, we just can’t leave well enough alone. On the recognized list are two dinosaurs, three flowers, a vegetable that many botanists call a fruit, two birds and three mammals. But who’s counting? The fights over flowers have had some people’s knickers in knots since statehood; we originally had the mistletoe, which was supplanted by the Oklahoma rose as the official flower before the former was recast as the official floral emblem. Not to be denied is the Indian blanket, the official wildflower. If that’s not confusing enough, consider food. The strawberry is Oklahoma’s official fruit, but the watermelon, widely considered a fruit, became the official vegetable because it is genetically related to the gourd. 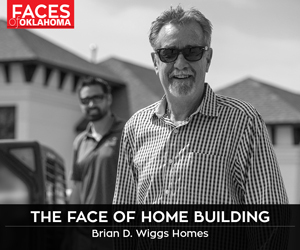 The fruit-vegetable debate caused much consternation among politicians about 10 years go, but the arguing subsided as the financial crisis and the state’s repeated budget shortfalls took priority for legislators in Oklahoma City. Regardless, these species and the controversies surrounding them are small potatoes when compared to two enormous creatures with long names: saurophaganax maximus (the official fossil) and acrocanthosaurus atokensis (the official dinosaur). A battle royal between these two bruisers would be epic. The only problems are that they lived about 40 million years apart and dwelled in exact opposite parts of the state. 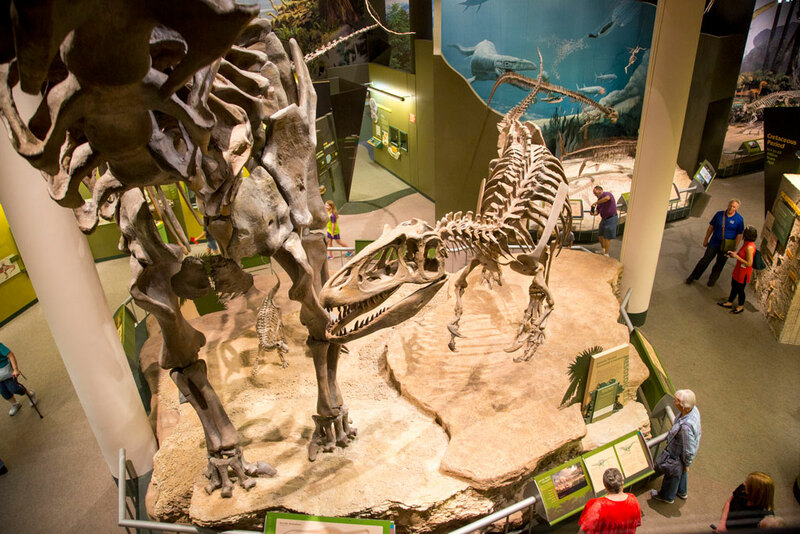 But that hasn’t kept Richard Cefelli, Ph.D., curator of vertebrate paleontology at the Sam Noble Museum in Norman, from speculating who would win a bout between these two meat-eating, relatively nimble titans. Both were about 40 feet in length. 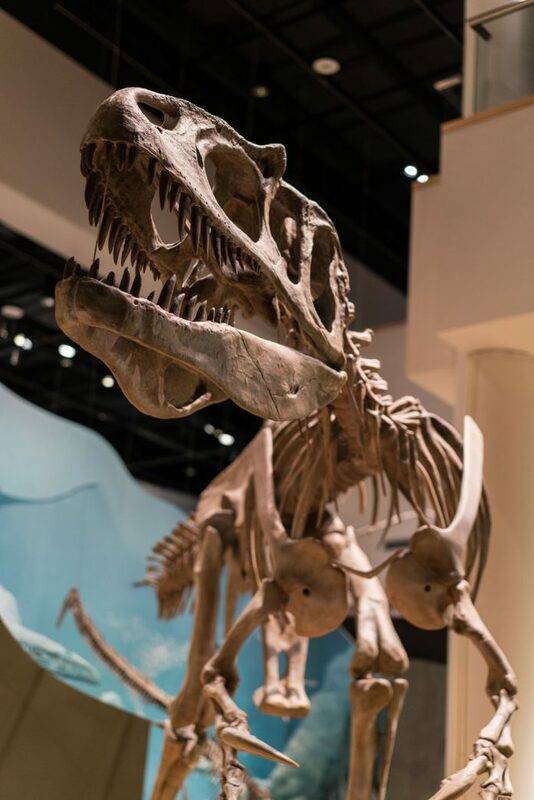 He and other paleontologists were a bit surprised in 2006 when Acro received its designation because “we thought we already had a state dinosaur with Snax,” which became Oklahoma’s official fossil in 2000. These giants are associated with Oklahoma because of significant discoveries. Saurophaganax fossils were found in Cimarron County in the Panhandle in the early 1930s; remains of acrocanthosaurus were found near Atoka and Broken Bow in 1940 and 1983, respectively.